I’m not a good singer. Pretty horrible with numbers and details, budgets, ironing, math and plants. Seriously. Even succulents die under my care! My organization system consists of cleaning off the flat surfaces around our home into multiple bags before guests arrive. I admire decorating and fashion, but putting together colors and textures makes me go all deer-in-the-headlights. Over the years I’ve learned and have come to embrace my contribution to Kingdom building: teaching and speaking. Writing, for me, is another extension of teaching. I've decided "older" is fifteen years past wherever we find ourselves. So now that I'm "older," I find freedom in not having to be someone I am not, and joy in operating in ways God designed me. My husband, Darrin, has encouraged me to write for as long as I can remember. It took battling cancer and writing on a CaringBridge website to get me started. I am now in remission and grateful for the gift of each new day. I watched in shock and surprise as God opened the doors for me to become an author. I write sometimes over at SheReadsTruth and guest write at places like Today’s Christian Women and other blogs. I have three kids–two sons, one college graduate and one in college and a daughter in high school. Most of my time I can be found in my office: AKA my well-stocked car. Always call my cell phone. Between the mountains of laundry and even larger mountains of paperwork (blah), I enjoy sleep. If there’s more time, I enjoy coffee with friends, reading, parties, teaching, writing, fireplaces, sushi, post-its, inside jokes with Darrin, and autumn. The theme “A Place of Abundance” comes from a verse God gave to me as I started in on my cancer journey. Life is full of challenges. God uses and allows fire and water to change, purify, reveal and sometimes warm or replenish us. He is faithful to bring us through and to lead us to abundance. This abundant life Jesus offers (John 10:10) is not one that is pain-free and smooth, but it is rich, rewarding, messy and best lived out with people. So journey with me. I’d love to hear your thoughts as I share mine. My first book, “Warrior In Pink: A Story of Cancer, Community and the God Who Comforts” (Discovery House Publishers) released in April 2014. You can click on the book tab at the top of the page to read reviews and the introduction to the book. My next book, “Open Hands, Willing Heart: Discover the Joy of Saying Yes to God” (WaterBrook, a division of Penguin Random House Publishers), releases July 2019. Under the book tab you can find a form to join my launch team and receive an early reader copy. I invite you to subscribe to this website below to have occasional newsletters with pertinent musings and first peeks sent straight to your inbox. You simply fill in your email address in the box and confirm the subscription when the confirmation email shows up. I promise to not bombard you with emails or sell the list to anyone. My husband and I have been on staff with Cru (formerly Campus Crusade for Christ) for 30 years. We have ministered on the campuses of Berkeley and UCLA, led mission teams in the Philippines, East Asia and Japan, trained staff and students in evangelism, discipleship, ministry philosophy and cross-cultural ministry. We spent the last ten years working with Epic Movement, the Asian American ministry of Cru. There we served as National Directors of Field Ministry on the Epic National Executive team. Epic exists to reach the students and faculty on college campuses in the U.S. with the Gospel through Asian Americans. This fall we have transitioned to a new season of ministry. We now serve with Cru City and partner with leaders who seek to help serve the different communities in large metropolitan cities around the country. Our vision has always been to raise up the next generation of leaders to influence the world. 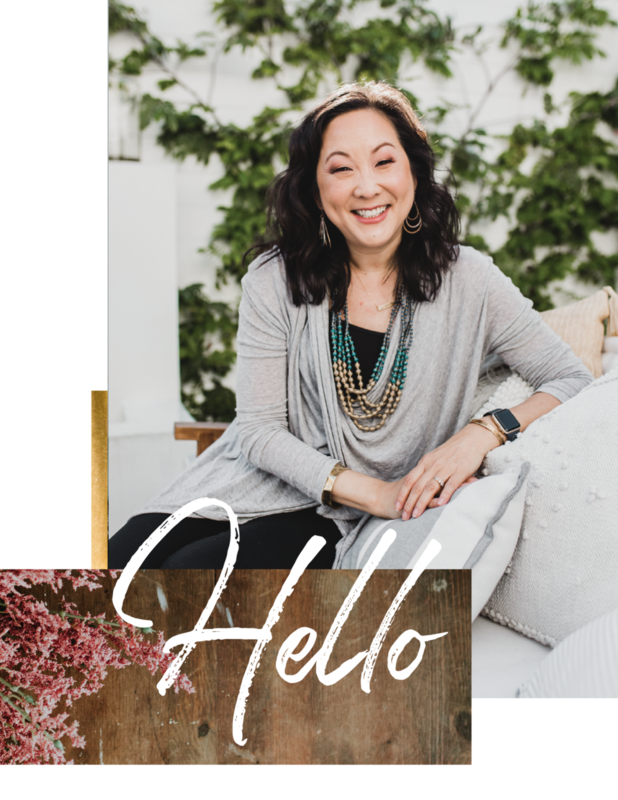 Our focus with Epic centered on helping raise up the next generation of Asian-American leaders, who would impact their family, community, church, and the world with the message of God’s love and forgiveness. Now with Cru City, we will continue to focus on developing leaders who will impact communities and bring hope and healing through Jesus. Darrin and I dream of the day when the voice and leadership of godly believers infiltrates every facet of society. We dream of our kids and their kids finding a wide array of godly leaders and role models. Our ministry is funded by churches, individuals and families who partner with us in helping bring the message of hope and healing to a hurting world. Please click on the button to visit our ministry giving site. Your gifts to Cru are tax deductible. If you would like to receive our monthly prayer letter, please email me in the form below.